As previously reported on this site, the Xavier team left campus yesterday afternoon to be ferried to Atlanta by charter jet. The band and cheerleaders will follow today by private bus, which makes sense when you imagine trying to fit a sousaphone into the overhead compartment. The Let’s Go Xavier blog, on the other hand, left Cincinnati aboard a chartered Town and Country minivan with Let’s Go X signs taped to the windows. Pulling out of the Alumni Center parking lot early this morning, the robins were chattering in the trees and the sky was going from black to blue, which recalls a spin on an old bumper sticker: If God’s not a Xavier fan, then why is the sky blue and the clouds white? And why do they always have a silver lining? Ample food for thought on a 450-mile roadtrip south. The journey, for those who may be following us tomorrow, was smooth. There was some concern about a roadslide at the Tennessee-Kentucky border. I-75 South narrows to one lane near the Tennessee town of Jellico, and the speed limit drops to 45 mph. The southbound section had slipped off a cliff, but only slightly and the view was terrific, so we carried on south without worry, stopping only for gas and sustenance, our van full of Xavier sunglasses, flags and giant cut-outs of Frease and Holloway heads. Two thousand Xavier rally towels are also on their way. On we went, past the famous Thacker Christmas Inn, past a tanker of hydrogen peroxide (who knew it traveled in such quantities?) and past Dalton, GA, the carpet capital of the country. 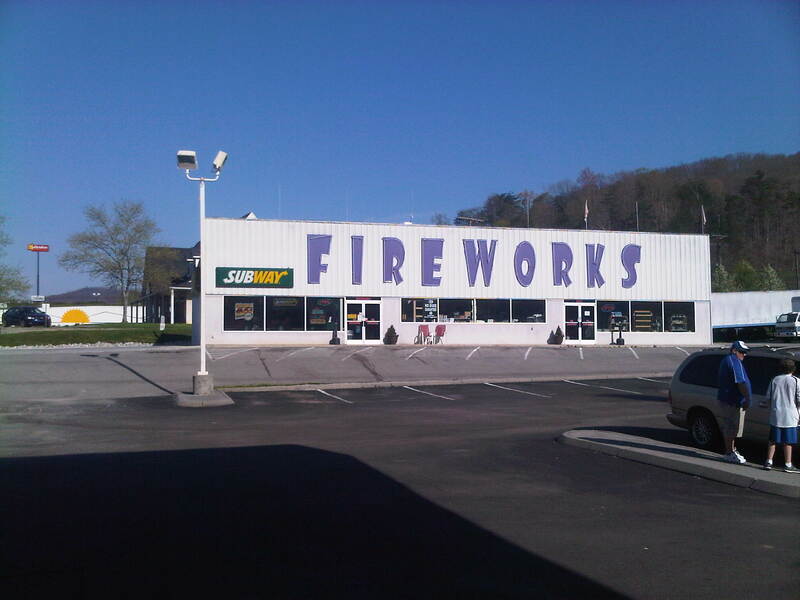 Tennessee appears to have laxer fireworks regulations than its surrounding states, and they’re available just about everywhere, including next to gas stations, a spatial arrangement that doesn’t seem to concern anyone terribly. Turkey club and a roman candle, anyone? At precisely 2:37, after a leisurely lunch at Longhorn Steakhouse, we caught first sight of the sleek skyscrapers of the Atlanta skyline, and pulled into the team hotel downtown minutes later. There are Xavier Sweet 16 shirts in the lobby, and many a Muskie milling about. And now we’re off to hear some of their stories.